Caramel Apple Cocktail | Om nom nom! 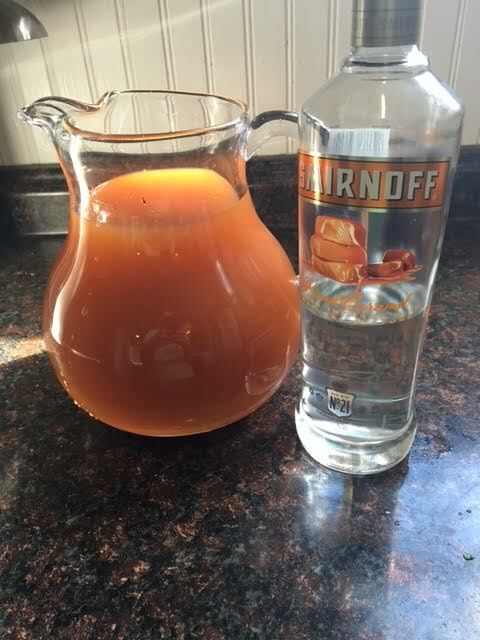 The best ratio for this seems to be one 1/2 gallon of apple cider and half a bottle of caramel flavored vodka. Add cinnamon sticks and let chill for a couple of hours so the cinnamon can infuse.